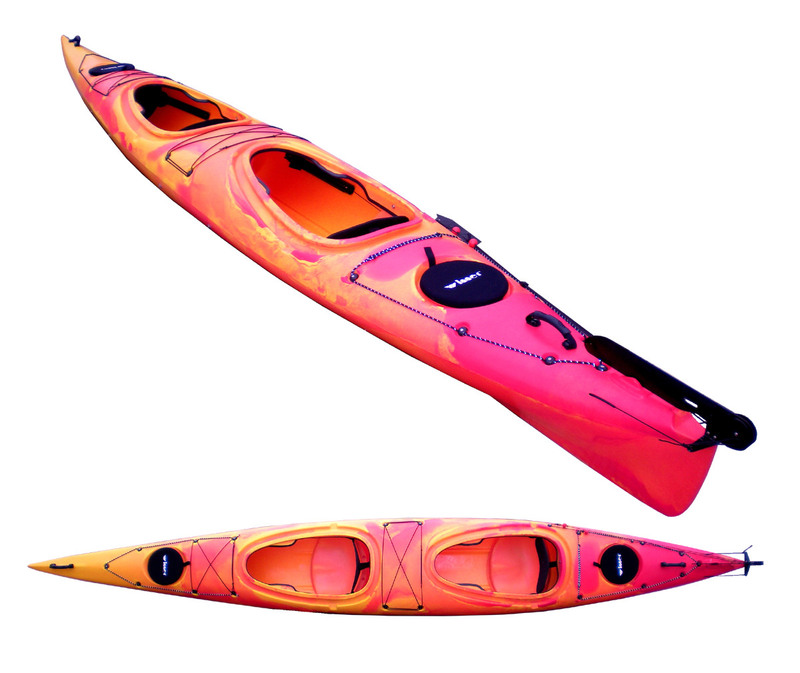 The Hug Sit-In Double Kayak has a spacious cockpit area, providing ample space for your legs and for greater mobility and maneuverability of the kayak. The hull shape allows for superior stability. Comfortable moulded seats, backrests and footrests and two (2) high quality aluminum paddles are included. Weighing just 30kg it can carry a combined passenger weight of up to 280kg. Wanting to take it out by yourself? The comfortable centred rear seat provides great ease for solo paddlers. Excellent for those who enjoy long paddling journeys.